Stockbridge, MA, February 21, 2018—The Norman Rockwell Museum today announced the appointment of Ellen Spear, currently President/CEO of Heritage Museums & Gardens, in Sandwich, Massachusetts, as the Rockwell Museum’s new Chief Philanthropy Officer. Ms. Spear will officially join Norman Rockwell Museum over the summer, assuming a newly created senior-level position to lead the Museum’s development efforts at a pivotal time of growth. Ms. Spear succeeds Chief Advancement Officer Michelle Clarkin, who joined the development staff of Fordham University in Manhattan. Norman Rockwell Museum recently announced plans to assess the feasibility of adapting the Old Stockbridge Town Hall as a National Center for Illustration Education and Research. As a member of the Museum’s strategic leadership team, Ms. Spear will lead the Museum’s overall fundraising efforts, including preparing for a campaign and the Museum’s 50th Anniversary. As President and CEO of Heritage Museums & Gardens, Ms. Spear directed a successful effort to create sustainable change. Over the last seven years she has led the development and implementation of dynamic new strategic plans, increased earned revenue, including significant fundraising, refreshed and reinstalled permanent exhibitions, and increased audience engagement. Previously Ms. Spear served as President and CEO of Hancock Shaker Village in the Berkshires, where she led a re-invention of the organization that was recognized by the Kresge Foundation with a $1 million Sector Leader grant to support their transition to a new business model. 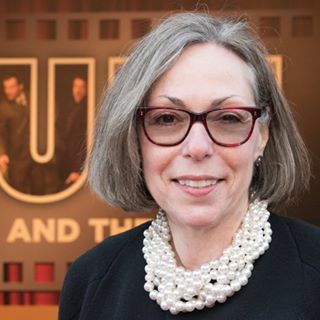 She has also served as Executive Director of the USS Constitution Museum in Boston, as the Director of Advancement at the American Textile History Museum in Lowell, MA, and as Program Director of WGBH Radio, Boston. Ms. Norton Moffatt and Ms. Spear together were co-founders of the Berkshire Creative Economy Council, which became a model for the statewide Massachusetts Creative Economy Council. Ms. Spear’s former experience includes expertise with planning and funding historic preservation, and serving as Program Manager of one of four branch offices of the New York-based Nonprofit Facilities Fund, providing advisory, consulting, and financial services (grants and loans) to cultural organizations statewide for capital projects. She and her husband Brad Spear will relocate to the Berkshires over the summer.